Diplodia Blight is a twig and branch canker disease caused by the fungus Diplodia Pinea. 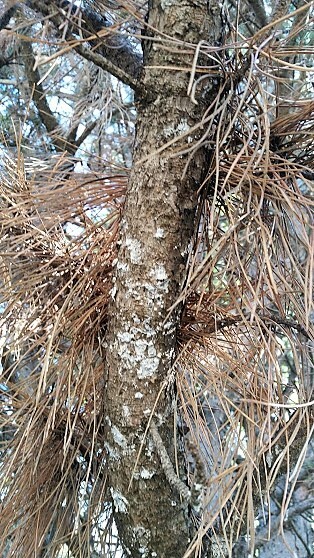 The disease primarily affects mature pine trees that have become stressed after periods of drought or poor site conditions. Austrian pine are the most severely affected while Red pine have slightly better resistance. Initial symptoms appear when new shoot growth at the tips of branches becomes stunted and turns brown. Severely affected limbs with very little green growth can become girdled by the canker, causing the entire limb to die. Early symptoms of dothistroma shows reddish spots forming into a band that girdles the needle. Dothistroma needle blight is a needle disease caused by the fungus Dothistroma Pini. It can affect many types of pine but Austrian Pine are the most severely affected. Symptoms first appear on fully grown needles as yellow-tan spots. The spots then form a reddish brown band that girdles the needle and the tip turns tan. By the end of the year the entire needle will turn tan. Fungal spores spread the disease from infected needles onto nearby healthy ones, repeating the disease cycle. New infection can occur multiple times per year but most commonly occurs in spring during long periods of rain. In most cases, diseased pine trees show symptoms of both diseases and the products we use provide effective control for both at the same time. Some trees may be too tall to spray the very top (if they are above 50’ tall), but the diseases predominantly occur on lower portions of the tree, while the very top remains green and healthy. Annual spray treatments may significantly reduce these diseases but cannot cure the tree entirely. 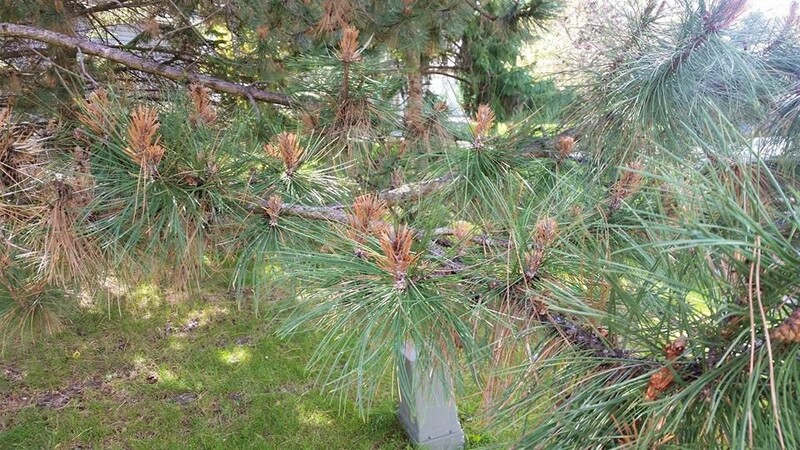 Avoid using nitrogen based fertilizers near diseased pine trees (this includes lawn fertilizer) as nitrogen has been shown to accelerate disease development. Shadywood Tree Experts can help maintain your trees with the use of systemic and/or contact fungicide spray applications. When you sign up for plant health care from Shadywood, we administer the recommended protocols for disease prevention control to keep your trees healthy. With each visit, our arborists assess trees for overall health. Water your pine by running a hose near the trunk of the tree for a deep soaking of 1-2 hours if we do not receive adequate rain (small trees can be watered for a shorter time). Rake up and dispose of fallen diseased needles. Mulch the area beneath the tree with a wood mulch or chips. If you see anything that doesn’t look right, have your trees inspected by one of Shadywood Tree Experts International Society of Arboriculture Certified Arborists.